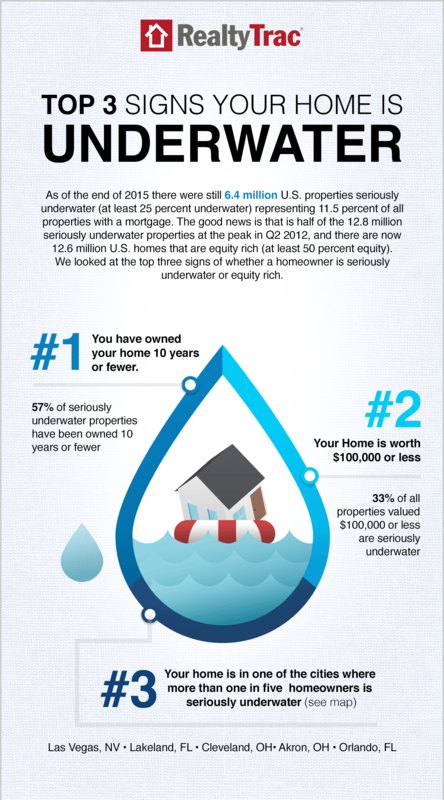 In Washington-Arlington-Alexandria, 9.1 percent of foreclosed homes are seriously underwater, which is about 129,831. 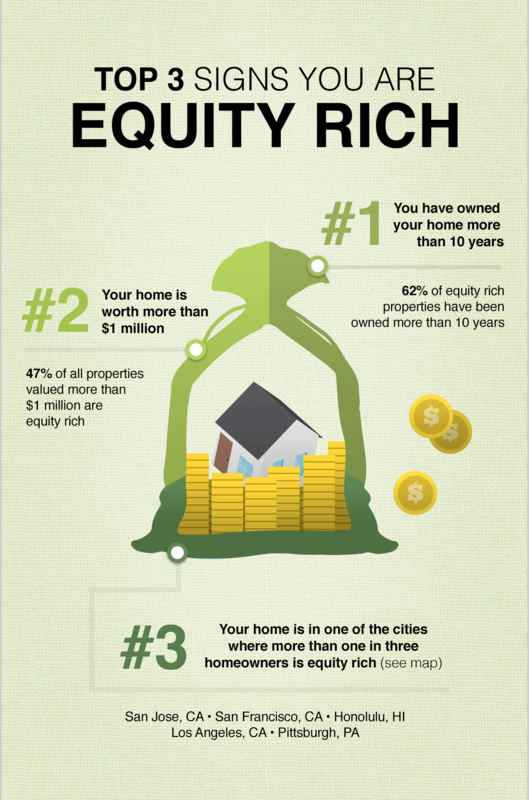 RealtyTrac reported 273,272 homes that are equity rich in the DC metro, or 19.2 percent. 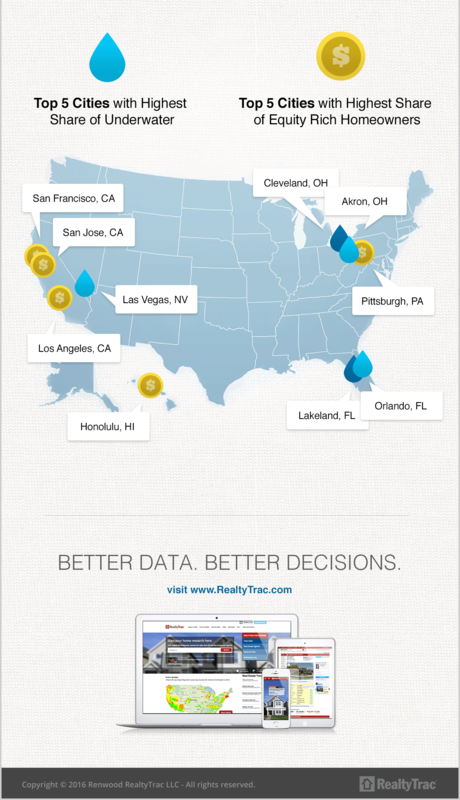 In the District of Columbia, RealtyTrac reported of the 298,327 properties, about 9 percent are seriously underwater.